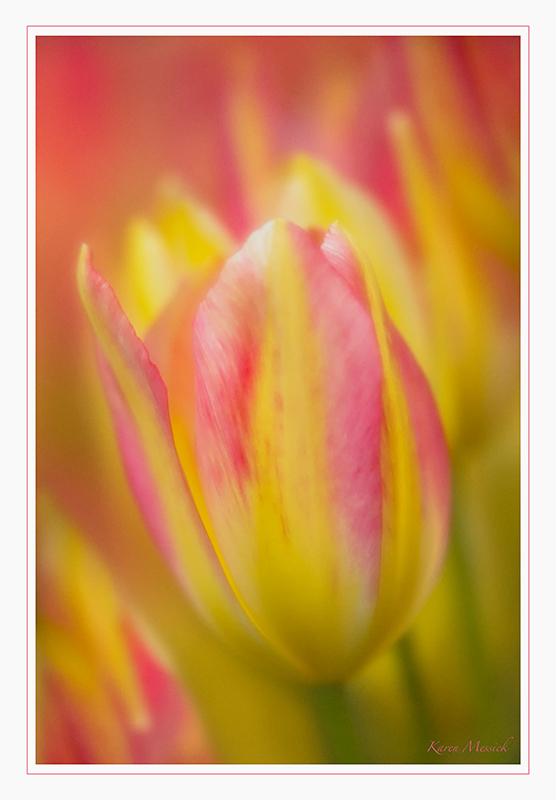 Karen L Messick Photography: Spring Tulips and the photographers old addage......"Shoot the Vertical right after you shoot the Horizontal." 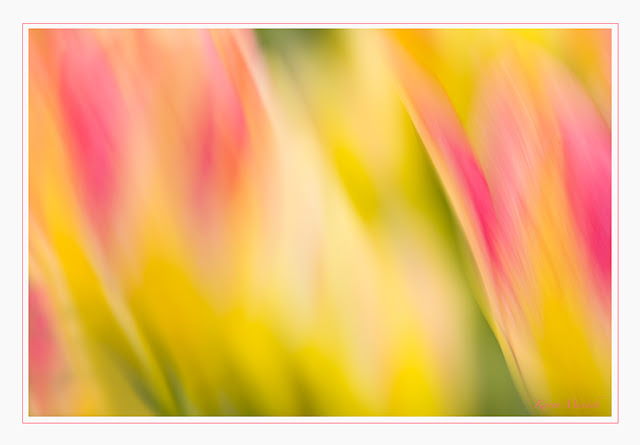 Spring Tulips and the photographers old addage......"Shoot the Vertical right after you shoot the Horizontal." This weekend I helped on a volunteer basis, The Baltimore Camera Club with their annual Camera School. I teach composition in the classroom on Saturday and then assist with the field lessons on Sunday. Its a busy weekend but fun! 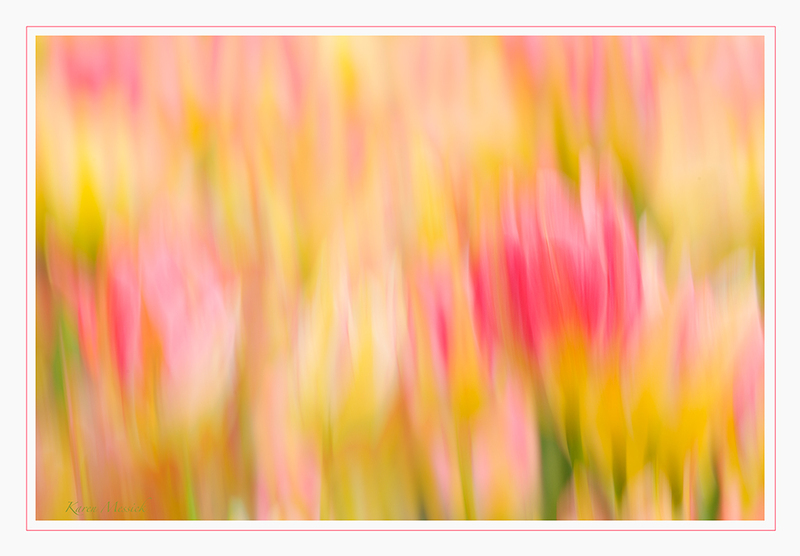 Today we were in Sherwood Gardens and making images of the tulips. I got a chance to do a little personal shooting with the D4, and my 200 mm macro lens fitted with a 52mm extension tube for the first time. The 52 mm extension tube did not seem to fit as well to the body mount but I made the connection anyway and it worked fine. The one really great thing is the ISO capability of the D4. 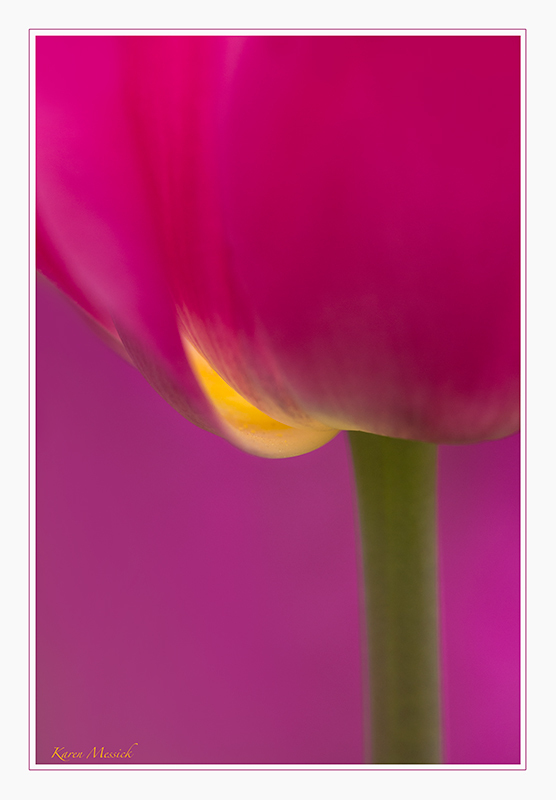 The increased ISO capability for macro is so sweet! 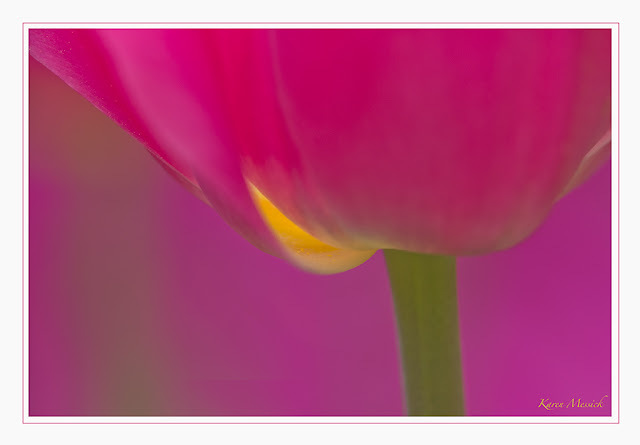 At times I was using ISO 1000, that I never before was able to use doing macro work and still get a useable image. I was able to achieve shutter speeds at 1/125 sec with the extension tube connected, a real plus for me, especially since we had a little breeze today. In my composition class I drive home the idea of making lots of shots when you have great subjects..and always make vertical and horizontal images of the same subject, then decide when you get home which one you might like best! I also cover color theory and this purple pink tulip with a background of out of focus purple azalea shrubs really resonated with the idea of working with analogous colors....but when you pop in the green stem and find the one tulip with the yellow it adds a whole color spectrum including color opposites of green and magenta...and the triad color of yellow! I always work in horizontal and vertical orientations when making images. Stunning images! Thanks for the inspiration. Thank you Sue! Thats really nice of you to say! I appreciate you checking out my blog! Watermen's Harbor, Kent Island, Md. New York City IS for Lovers! New York City Streets~About the Boys! Old Boats...Kent Island Harbor..Heralding Spring!